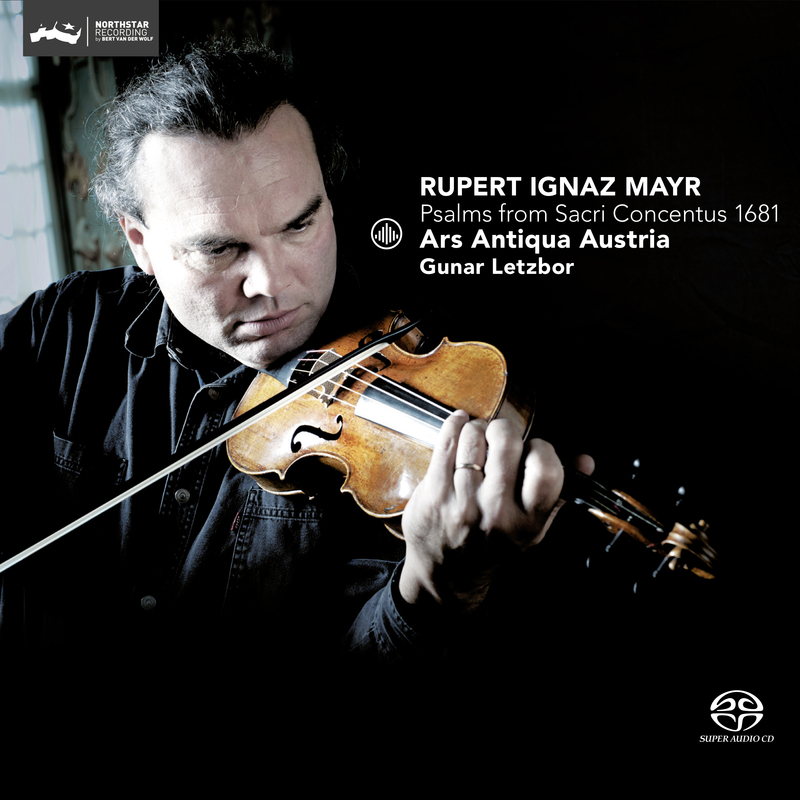 Ars Antiqua Austria and Gunar Letzbor present outstanding sacred concerts by Rupert Ignaz Mayr (1646-1712) for voice, a virtuoso solo violin and basso continuo, including five world premiere recordings. Mayr, working in Munich from 1683 until his death, is considered a reformer of southern Germany’s Catholic sacred music with his clever combining of the largely protestant sacred concert of the north with the extemporizing concertante style of Italy. R.I. Mayr’s works were influenced by his study trip to Paris as well as the Italian musicians who dominated musical life at the Munich court. Paired with echoes of Bavarian folk music, Mayr’s music reveals both a typically Austrian blend as well as very personal hues. At that time, Catholic church music was dominated by the stile antico. Mayr gently expands this ancient art by introducing the concerto form as well as the monody. He elaborately weaves polyphonic textures, his monodies emerging highly expressive, melodious and also virtuosic. Mayr easily joins the ranks of his famous Austrian colleagues, matching the quality of a J.K. Kerll or the Austrian masters around H.F. Biber. "Very beautiful music wonderfully well performed." Atmospherically Ars Antiqua Austria achieves a maximum. "Very special. A real (re) discovery. Highly recommended." "In the Early Music Festival, Letzbor and his ensemble will perform a series of concerts at the end of November that will once again sparkle."